For centuries, mystery has surrounded the brief flowering of religious tolerance and intellectual achievement that the early 17th Century Rosicrucians ushered in with the publication of three manifestos: the Fama Fraternitatis (1614 - Fame of the Fraternity), the Confessio Fraternitatis (1615 - Confession of the Fraternity) and the Alchemical Wedding of Christian Rosenkreuz (1616). Leading lights in the academic and religious worlds of 1614 were shaken to the core, and some were moved to action by these publications which appeared at yearly intervals and which in due course led to far-reaching changes throughout Europe, and later in the New World of the Americas. Having been branded for centuries as a secret society of occultists, witches and wizards by uninformed and jealous people, the Rosicrucian Order is one of the most enigmatic and yet most open of the handful of true initiatic Orders still in existence. 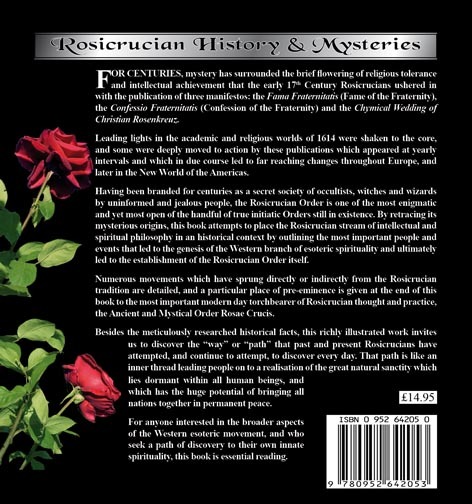 By retracing its mysterious origins, this book attempts to place the Rosicrucian stream of intellectual and spiritual philosophy in an historical context by outlining the most important people and events that led to the genesis of the Western branch of esoteric spirituality and that ultimately led to the establishment of the Rosicrucian Order itself. 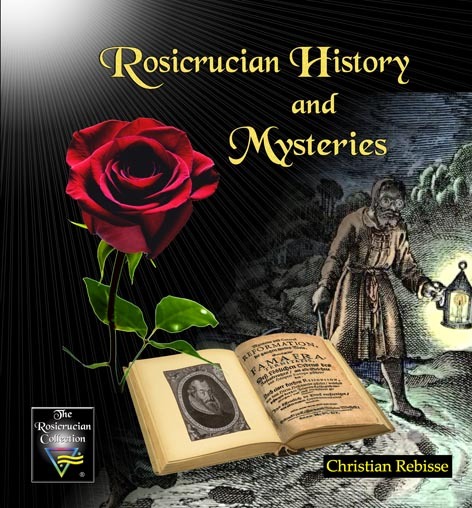 Numerous movements which have sprung directly or indirectly from the Rosicrucian tradition are detailed, and a particular place of pre-eminence is given at the end of this book to the most important modern-day torchbearer of Rosicrucian thought and practice, the Ancient and Mystical Order Rosae Crucis. Besides well researched historical detail, this richly illustrated work invites us to discover the “way” or “path” that past and present Rosicrucians have attemptedto find, and continue to seek every day. That path is like an inner thread leading people to a realisation of the great human potential and natural sanctity which lies dormant within all people, and which has the potential of bringing all nations together in permanent peace. For anyone interested in the broader aspects of the Western esoteric movement, and who seek a path of discovery to their own innate spirituality, this book is essential reading.